King Fok, a senior sociology and Arts and Letters pre-health major. When King Fok was 6 years old, he suffered from an orthopedic condition that caused him to spend two years on crutches. Uncovered by his health insurance, the condition was Fok’s first glimpse into how socioeconomic status impacts health care. That childhood experience informed his decision to major in Arts and Letters pre-health at the University of Notre Dame. As a future physician, he hopes to make medical care more efficient, inclusive, and accessible to all. A sociology class his freshman year helped him discover a perfect major to pair with pre-health. The senior, who is also an international development studies minor, said his three areas of study have collectively given him a great foundation for his future. The tangible skills he has gained through classroom and research experiences will help make his long-term goals a reality. 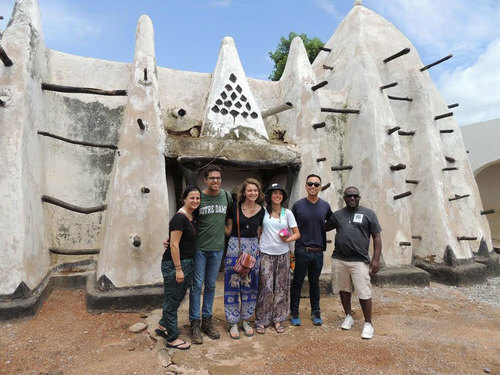 Fok and other Notre Dame students at the Larabanga Mosque in Ghana, one of the oldest mosques in West Africa. Research has been a hallmark of Fok’s time at Notre Dame, from quantitative scientific studies at the Harper Cancer Research Institute to qualitative work with sociologist Terrence McDonnell to a senior thesis that has involved two trips to Ghana. After his freshman year, Fok worked at HCRI studying the way blood cells form as stem cells develop, part of a project with the ultimate goal of finding a cure for leukemia. Meanwhile, the Kellogg International Scholar was also working with McDonnell to research prosthetic materiality and the influence of popular culture on objects. The project closely aligned with what Fok wants to do in terms of looking at rehabilitative and disabled care across socioeconomic classes. This realization ultimately led to Fok’s IDS capstone — a study of the social and structural barriers to health care for amputees in Ghana — and his senior thesis on how social and structural barriers in society influence the clinical decision-making process of individual patients. He traveled to Ghana the summers after his sophomore and junior years, conducting field ethnography at rehabilitation centers — including the National Prosthetic and Orthotics Center with Ghana’s Ministry of Health — health care delivery assessments, and patient-employee satisfaction surveys. He interviewed patients, workers, and practitioners, asking them questions centered on personal agency. “I would ask them, ‘How did you feel going into the doctor’s appointment? Did you feel like you could ask the practitioner what you needed to know? Did you not like a certain practice? Was there a time you disagreed with the practitioner?’” Fok said. Fok stands in front of The Dome of the Rock, an Islamic shrine in Jerusalem. Fok has taken full advantage of Notre Dame’s many international opportunities — experiences he believes have been crucial to his education. In addition to his research trips to Ghana, Fok studied abroad in Jerusalem the summer after his first year, traveled to Mexico with Campus Ministry over fall break his sophomore year, and did service in Nicaragua with Global Medical Brigades during spring break of his sophomore year. The following summer, he spent time in Peru volunteering and translating for doctors in health clinics and hospitals with Notre Dame alumnus Dr. Edward Murphy, before heading to Ghana. 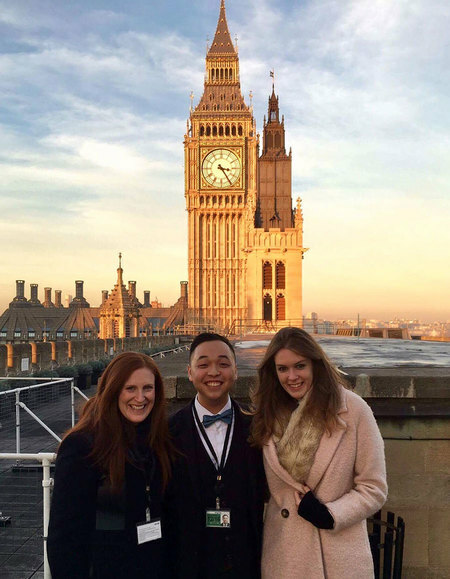 He studied abroad the fall semester of his junior year in London, where he worked with a member of Parliament and minister for schools at the United Kingdom House of Commons. 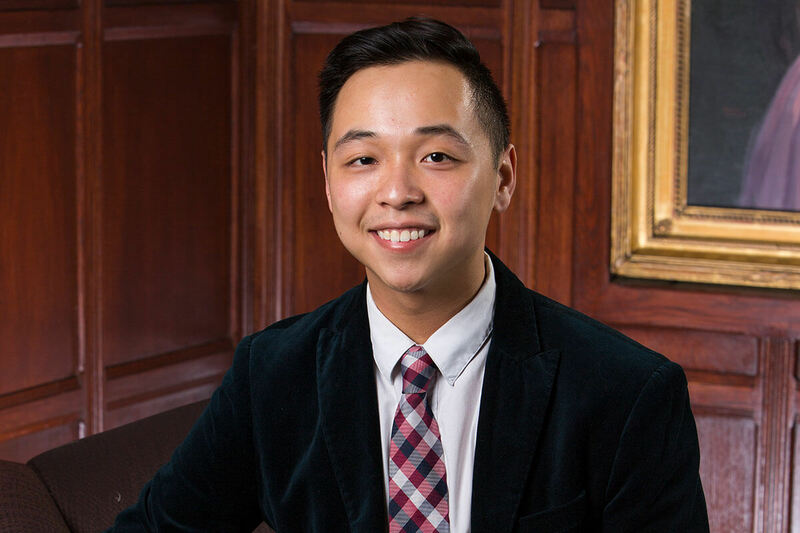 On campus, Fok oversees the finances and leadership for more than 400 undergraduate student clubs as executive president of the Club Coordination Council. He also leads a one-credit seminar class at the Center for Social Concerns that looks at health care legislation and how it impacts the marginalized, which culminates in an immersion in Washington, D.C., over spring break where students meet with lawmakers, think tanks, interest groups, and care sites. Fok and coworkers during his internship with a member of the House of Commons in London. And with what little free time he has, Fok loves to learn languages. Already fluent in Mandarin, Cantonese, Spanish, and English, he intends to add French to the list soon. Fok has brought that global perspective and a passion for accessible, efficient health care to every part of his education. For a physics project, he developed a generator and analyzed the ways solar panels could improve efficiency, based off of the energy needed to power the same clinic in Ghana where he had conducted research. “Being able to take something so theory-based in my science class and ground that in a real-world experience was really nice,” he said. 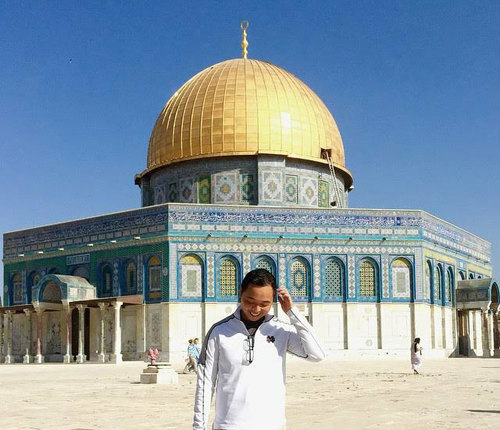 Building on his many experiences as an undergraduate, Fok hopes to continue traveling abroad after graduation. He plans to pursue a master’s degree in global public health and policy in the UK or enter full-time service at an orphanage founded by a Notre Dame graduate, Open Arms for Homes, which helps children whose parents had HIV/AIDS in South Africa. He later plans to attend medical school, furthering his ultimate goal to help people of all socioeconomic backgrounds have access to quality health care — a dream that began when he was just 6 years old. Originally published by Teagan Dillon at al.nd.edu on April 03, 2018.